Kunming, the capital of Yunnan province, enjoys the best weather in China. It's not hot in summer and not cold in winter, and it's covered by green plants all year round, thus got Kunming another name: the city of eternal spring. In 1999, the International Horticultural Exposition was held here, more than 95 countries and international organizations participated in this Expo 99, made Kunming a more popular travel destination. 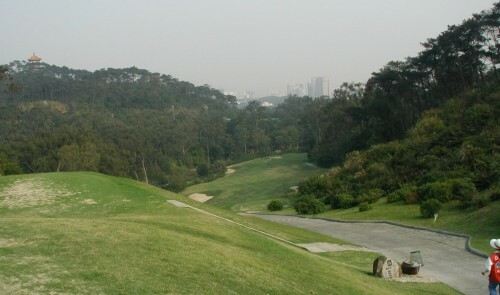 Now, there are 2 golf courses in Kunming, one is Kunming Country Golf, which is 18 km east of Kunming, invested by Hong Kong businessman, it has a practise course for beginners and a 18-hole international standard course; The second one is Kunming Spring City Golf, which is 40 km east of Kunming, by the side of Yangzonghai Lake, invested by Singapore businessman, it has two 18-hole international standard courses, one is Mountain Course, another is Lake course. 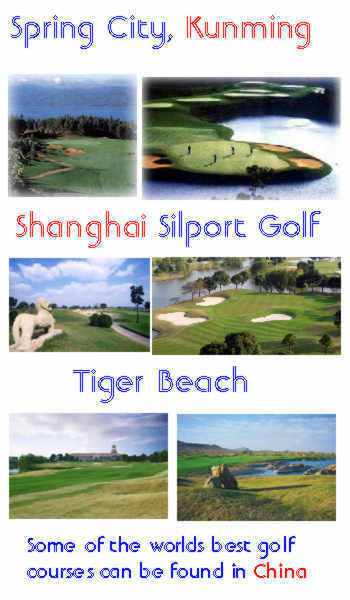 Many golfers think the Spring City Golf is one of the best golf courses in Asia. Green Fee, Buggy and Caddy. All flights subject to availablility are all subjected to dates and specila offers.